9-Abdullah Haroon Road,Civil Lines Karachi. Karachi Marriott Hotel is situated in central Karachi near Frere Hall on Abdullah Haroon road 5 minutes drive from central Saddar bazaar and 17 Kilometer 25 minutes drive from Karachi International airport. The hotel boasts to be a glorious landmark of Karachi. It used to be Holiday Inn hotel in past and was renvated and converted into Marriott hotel. 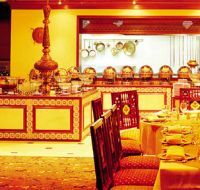 The hotel offer 250 rooms with amenities of a 5 star hotel, 5 restaurants and several exhibition and wedding halls. 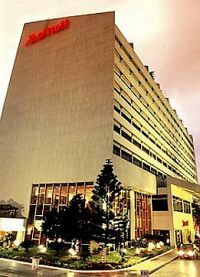 Marriott Hotel Karachi in Karachi, offers above rates only to Hunza tours. The online reservation payment must be made to Hunza tours not the hotel. Book your events, Meetings, Conferences Marriage parties at Marriott Hotel Karachi or any other hotel in Karachi please feel free to email us we will offer you the best possible rates and perfect arrangements to suit your events. For room reservations at Marriott Hotel Karachi Karachi please contact usTravel & Culture Services are hotel reservation agents in Pakistan. 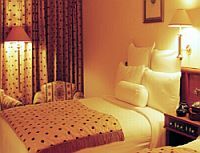 We reserve hotels at special discounted rates for individuals and companies.